Plus, today we still have a 25% coupon to use on your entire purchase including sale items…that would make the pumpkins $5.25! M&M’s Boo-tterscotch and Candy Corn 8oz bags are on sale for $2.66 this well. We also have great cartwheel offers for 30% off on the bags, plus a coupon and you can score these bags for $1.36 each! *Each cartwheel offer can be used up to 4 times in a single transaction…so in theory you could print 4 coupons and purchase 8 bags (4 of each) for this price in one transaction. You will need two computers to print 4. My twin boys have life-threatening food allergies to Peanuts & Tree Nuts. There are so many ways their allergies affect our daily lives. 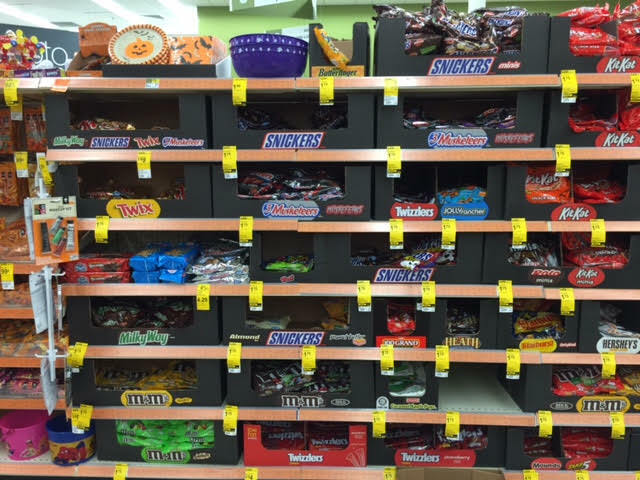 Not only do we struggle at bday parties, vacations, etc…they have also don’t get to trick or treat. Until now thanks to The Teal Pumpkin Project! 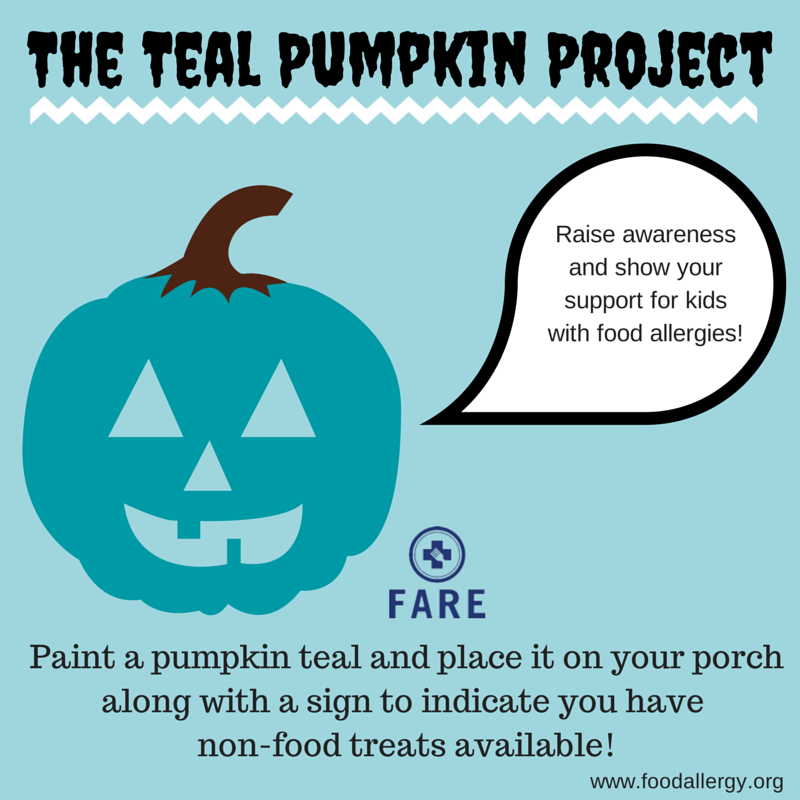 It may be a simple thing and yes, it is just Halloween, but as a mom of food allergy kids this was such a blessing. Our family tradition has always been to host an open house party with plenty of safe candy and treats for them. We always made a big deal about costumes and passing out candy. When they were really young, this was sufficient. As they got older and realized that they weren’t able to go door to door like the other kids, it became a little gloomier. They longed to be able to just go door to door for goodies. It always seemed wasteful to me and hard on them to just go and giveaway the candy. And you may think, sort through it…it’s not that simple. Have you ever had a reese’s wrapper that was oily? All the time…that would have contaminated the whole lot. It just was never worth the risk of candy vs. my son’s life. That’s a lot of kids who might feel left out of the festivities. And many more are avoiding gluten as well due to an intolerance. 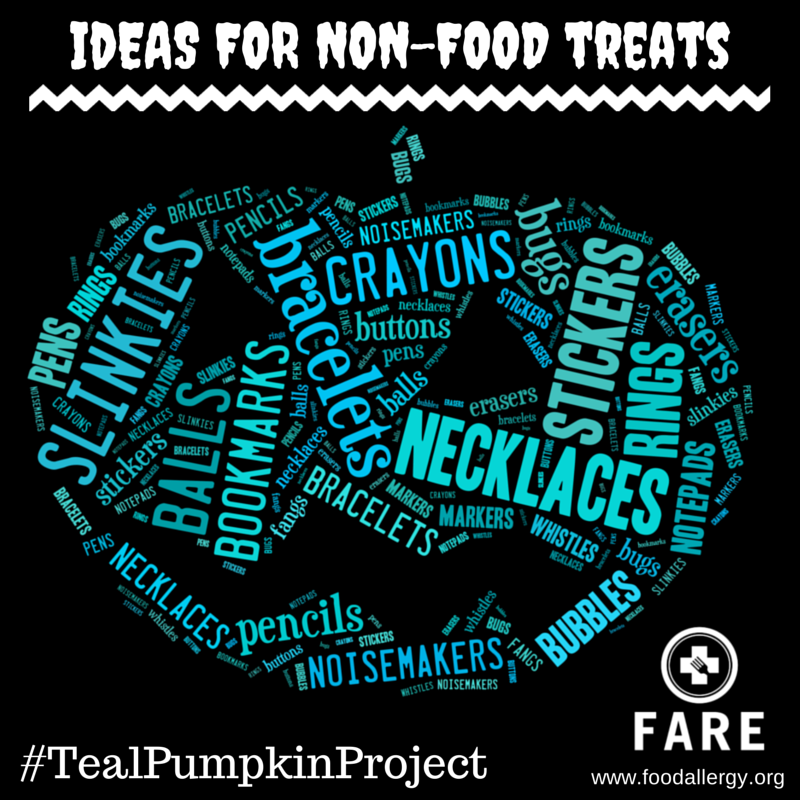 3) Display the free printable sign to let kids know you have non-food treats – print it here! Age ranges from 3 – 12. *HOT* Target: 40% Off Halloween Costumes and Select Candy Today (9/22) Only = M&Ms Just $1.17 & More! 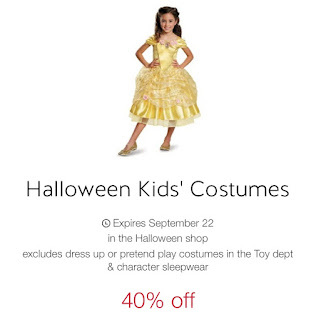 Today (9/22) ONLY save 40% on Halloween Costumes and Candy at Target with these new cartwheel offers! Not heading to the store? Then you can still save 40% on Costumes and Accessories ONLINE! Hurry over to Home Depot where today (9/15) only you can save up to 50% Off Select Halloween Decor! 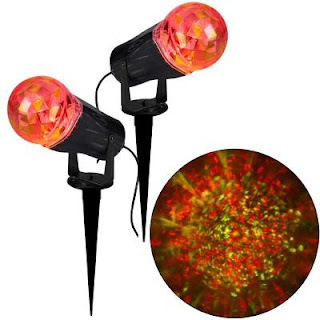 From decorations to tools to help hang them you will find some hot deals. Free shipping or in-store pick up available. Aren’t these adorable? 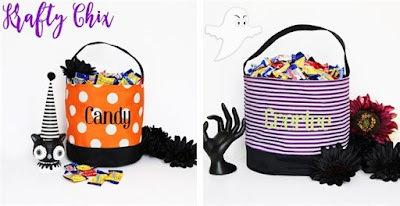 Right now you can get a Personalized Halloween Bucket $13.99 (Retail $29.99). Last day – October 27th! 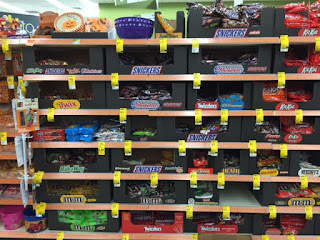 To snag a great deal on candy at Walgreens!